Employee appreciation has the greatest influence on job happiness. What Is An Employee Rewards And Recognition Program? The foundation of any rewards and recognition program is the universal human desire to be appreciated and acknowledged for a job well done. While positive reinforcement has always been present and valued in the workplace, we are now finding that a more systematic and consistent approach to staff appreciation is most effective. A well integrated rewards and recognition program, tied directly to company goals and values, can boost engagement, productivity and morale company-wide. We know that when employees are recognized for their work, they are better motivated, happier on the job and more likely to succeed. 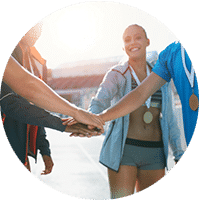 A strategically planned and well implemented rewards and recognition program will do just that—consistently and publicly acknowledge your team’s hard work, sparking a positive impulse that has the ability to touch every part of your business. The effectiveness of employee recognition is well documented, with many of the world’s most successful organizations utilizing some kind of rewards and recognition program. As more is learned about the company-wide benefits of employee rewards and recognition, more organizations are implementing programs of their own, cultivating nourishing environments for employees. 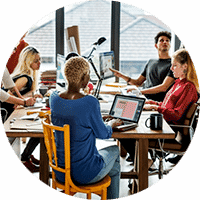 If your company is looking to better engage, motivate and retain current employees, as well as attract top candidates to new openings, a rewards and recognition program is the best solution. What Makes Some Rewards And Recognition Programs More Successful Than Others? While simply having a rewards and recognition program is a great step toward improving staff performance and morale, focusing on a few key elements can help ensure your program is a winning one. Among the strategies proven to be most effective are: aligning your recognition program to company goals and values; integrating the program into the daily working lives of your employees; recognizing and rewarding on the spot; and continually improving your program to fit the needs of your unique employees. Having a flexible and customizable rewards and recognition software at your disposal gives your program a great advantage and makes the job of acknowledging staff fun and easy for all.